Many residents of Wethersfield, Connecticut, have fond childhood memories of playing at Wilkus Farm, a site emblematic of the town's agricultural history. 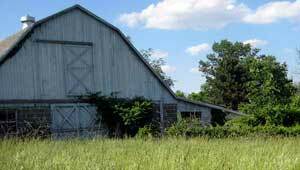 Preserving Wilkus Farm, locals say, keeps the "field" in "Wethersfield." For much of the last century, the late Wilkus brothers worked the prime agricultural soil on their farm, which included a dairy operation and hayfields. Keeping the historic land free from development and retaining its character was a top priority of the town, which rallied to secure funding for the 81-acre property in a series of moves that included a 2006 conservation bond measure and a 2009 referendum to approve the farm's purchase. The town will own and manage the land for farming and low-impact recreation, including hiking. The June 2010 acquisition protects an important stream flowing into the Connecticut River and preserves the farm's valuable hayfields and much-needed public access to the town's reservoir.